Endodontics is a specialty area of dentistry which involves the root pulp of a tooth and the tissue areas surrounding the root of a tooth. Endodontists perform a variety of procedures including root canal, treating cracked teeth, surgery, and treating dental trauma. Root canal therapy is one of the most common procedures. If the pulp becomes diseased or injured, endodontic treatment is required to save the tooth. Root canal Therapy on all anterior teeth. Root canal Therapy on some posterior teeth (Case by case basis). 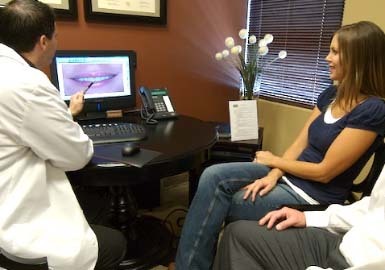 *We have a strong working relationship with the best endodontists in Las Vegas if your needs exceed the scope of treatment our office delivers.